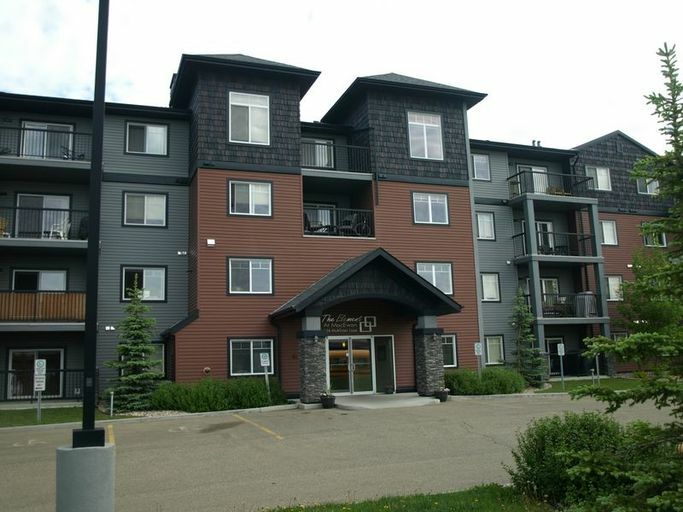 This beautiful building features a large party room, complete with bar and pool table, as well as underground parking! The main floor unit has brand new carpet throughout! The beautiful dark kitchen features a fridge, stove, and even a dishwasher, along with a breakfast bar! The large living room leads out to the balcony area, which provides lots of light to the whole unit. The master bedroom is spacious and features a walk through closet, and a full en suite bathroom! There is both a second bedroom and a second full bath just off the living room. Not to mention the stacked washer and dryer in the closet behind the front door! One underground parking stall included! The neighborhood is awesome, just off 111th Street and Ellerslie Road this unit is near schools, parks and shopping!! Not to mention great access to bus stops that feed directly to Century Park LRT station!